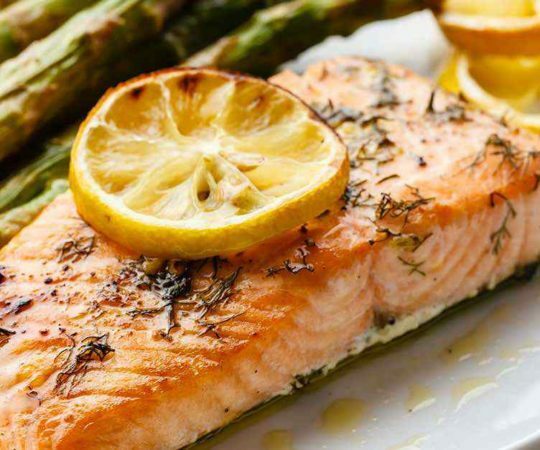 It’s amazing how a recipe with only two main ingredients can taste so good. 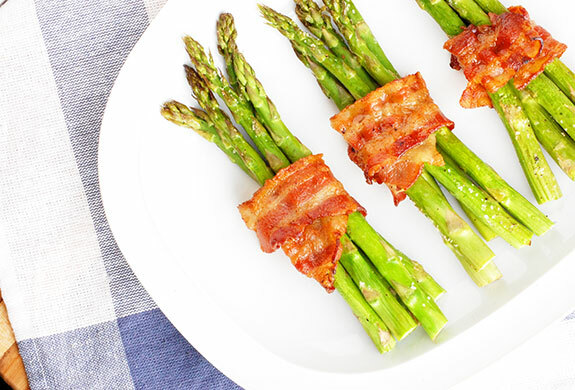 Salty bacon and green asparagus are wrapped together in this simple but impressive dish. 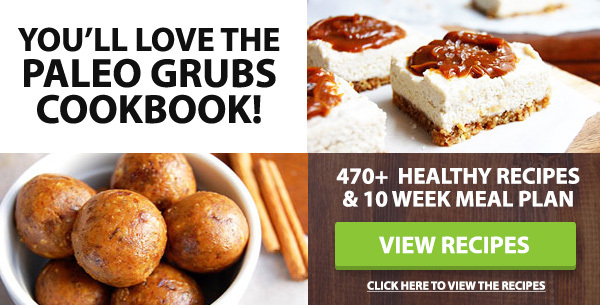 I have made this side dish with two different methods – one failed and one worked marvelously. This recipe, my second attempt, is the one that worked well and produced crispy bacon with perfectly cooked asparagus. The first method I used to cook the asparagus and bacon did not work out so well. I’ll still outline the method here, in the hopes of saving time for other people in the future. First I cut each piece of raw bacon in half lengthwise. I then wrapped the thin, long piece of bacon around a single stalk of asparagus. After all of the asparagus were wrapped with bacon and on the baking sheet, I put the baking sheet in the oven and turned on the heat to 400 degrees. Unfortunately the bacon never became very crispy and the asparagus was way overcooked. So I went back to the drawing board and tried a different method. The second time around, I slightly precooked the bacon to give it a chance to crisp properly later. I cooked the bacon lightly on each side, until it got slightly browned but was still soft so that it could be wrapped. 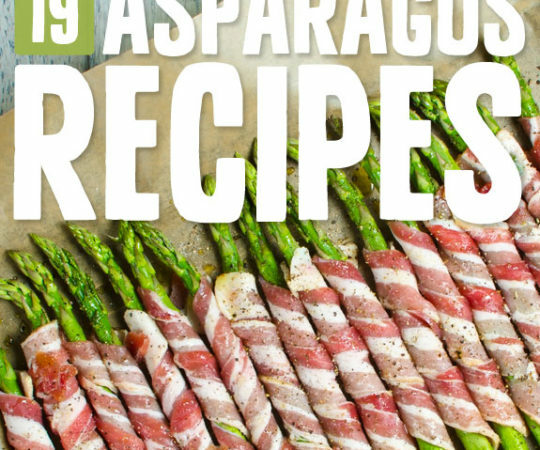 I also decided to wrap the asparagus in small bundles instead of cooking them individually – I believe the bacon-to-asparagus ratio tastes better. I washed and trimmed the asparagus, and then completely dried so that it would roast in the oven properly. I drizzled the asparagus with a little olive oil and sprinkled with salt and pepper. Then I separated it into bundles. The one bunch of asparagus that I bought had about 20 spears in it, so I made four bundles with five stalks of asparagus in each. Each bundle was then wrapped with a piece of bacon. Once assembled, it becomes an easy task of roasting the bundles in the oven until the bacon is crispy. You do not want the asparagus to overcook and become mushy, so keep checking it after ten minutes to see if it is done. An optional step to the recipe is a sweet one. If you like, you can brush the bacon with maple syrup before baking the bundles in the oven. 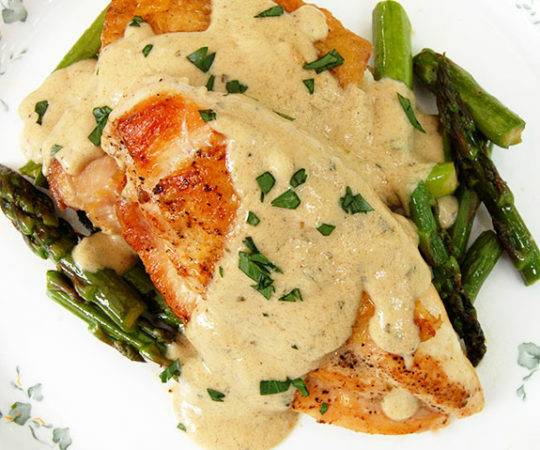 I love the extra flavor that the syrup adds to the salty bacon and asparagus. This is definitely an attention-grabbing side dish for the dinner table. Preheat the oven to 400 degrees F. Place the bacon in a large skillet. Cook for about 3 minutes per side, until the bacon gets just a little crisp. Remove to a paper towel-lined plate. Line a rimmed baking sheet with aluminum foil or a Silpat. 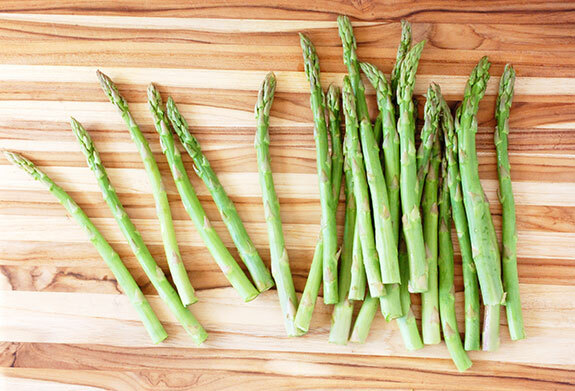 Wash and dry the asparagus and then place it on the baking sheet. Drizzle with olive oil and toss to coat. Sprinkle with salt and pepper. Divide the asparagus into 4 small bundles. 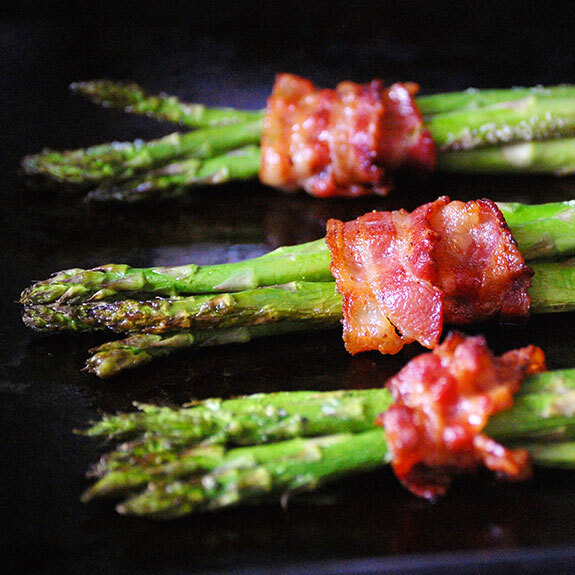 Wrap a piece of bacon around each bundle of asparagus and place on the baking sheet. Brush the bacon with maple syrup if desired. Bake for 10-12 minutes, or until the bacon is crisp. Serve immediately.